What is the Kingdom of God? What is its nature and character? What is its purpose and reason for being? Where is it? Who may enter it, and how? Who is excluded from it, and why? How is this Kingdom organized and governed? How does it function and operate? What resists it and prevents it from coming? What will it look like when it is fulfilled? What impact will it have on the earth? What are the implications for mankind? And how can we prepare ourselves for it? The purpose of this book is to explore these questions and answers together. 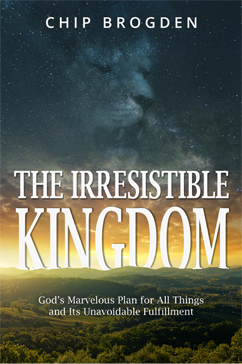 Our goal is to set before you God’s Vision for all things – to illustrate and illuminate His Eternal Purpose – because you, dear reader, are an important part of that great Purpose of God.